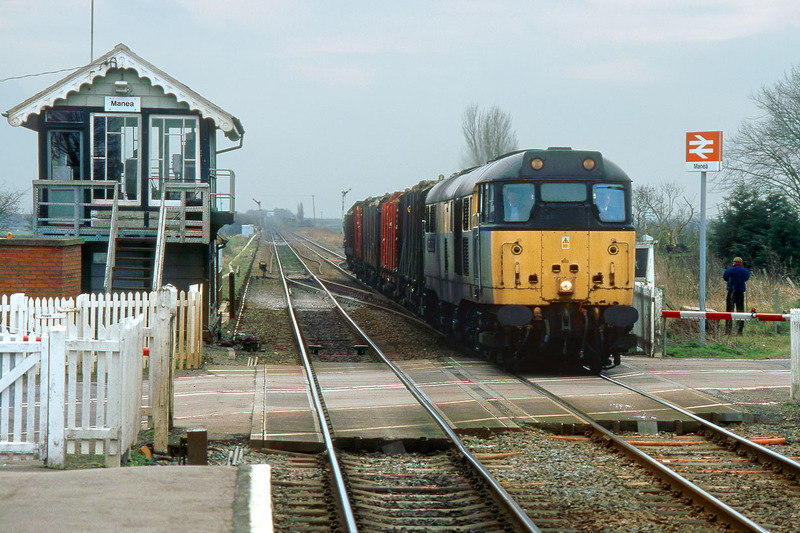 One other photographer was on hand at Manea on 11 March 1999, to witness 31233 Severn Valley Railway pass through the station with the 6G30 11:40 Brandon to Chirk loaded timber train. This short train carrying logs in OTA wagons, was regularly worked by one of the dwindling number of Class 31s. Unfortunately it did not run for very long, and I didn't manage to get a well lit picture of it. Therefore this poor weather example will have to serve as a record.